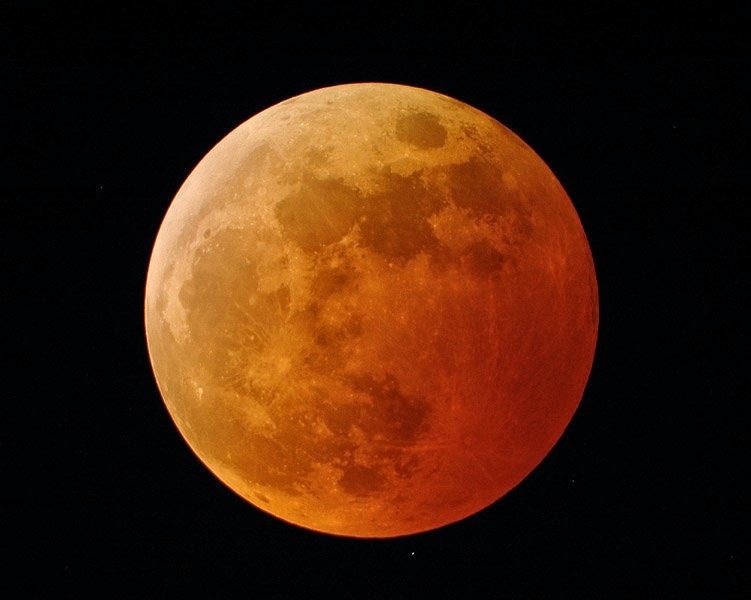 The partial lunar eclipse in India starts at 18:39 and ends at 19:14 (Indian Standard Time). If you live in a country where eclipse will be visible then you should not waste this valuable time. One should keep reciting a mantra which one wants to 'siddh' for as much as one can while the eclipse is on. Eclipse is one of the best times to 'siddh' a mantra. For example if you are facing financial issues, recite a lakshmi mantra or ganesh mantra; if you are facing child related problems you can recite Santan Gopal Mantra; if you are facing problems related to evil energy like black magic, depression, ghosts etc. then recite Vandurga mantra and so on. 1) Do not see the eclipse. 2) Do not go out while the eclipse is on. Try to stay indoors. 3) Keep reciting Santan Gopal Mantra during the eclipse. 4) Take bath before and after the eclipse. 5) Avoid sleeping while the eclipse is on. i am in dire need of a good job and need to sort issues with my husband. Which will be the mantras that i can do sidhi this coming lunar eclipse for above problems.please reply. Jiska chandra grah weak go usko kya karna hoga or wo upay chandra grahan ky time karna h ya us pury din karna h.
what is meaning of Sidh? Does this means getting maximum benefit from mantra or getting a lifetime benefit from mantra? Apke husband ke vaapis aane ke chances ban jaayenge aap start kar dijiye. Sir, when should we observe the Shutak in Delhi? Some sites are saying that one need not observe the rituals like Shutak and other do's and don'ts if the Grahan is not visible in one's city. They're also saying that it will not be visible in India because of daytime.